Finally I had a real vacation, albeit short. Like many typical holidaymakers, I decided to do a little tour passing three selected cities in Europe, at the same time also using the chance to practice light, one-bag travelling (with a great success, mind you!). Paris can always make a good start. The target at this second visit to Paris was to enjoy it at night. After all, it is supposed to be la Ville Lumière (City of Light). 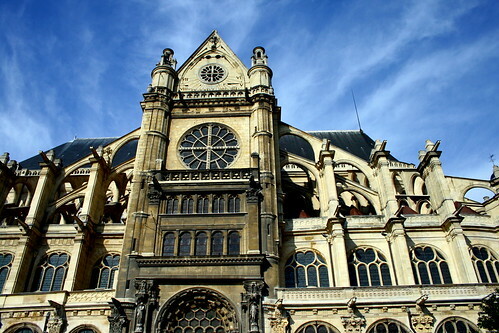 However, a long walking tour during the day was still inevitable, as evidenced from the picture of Église Saint-Eustache above. As for the food, we decided to try non-local cuisine instead. 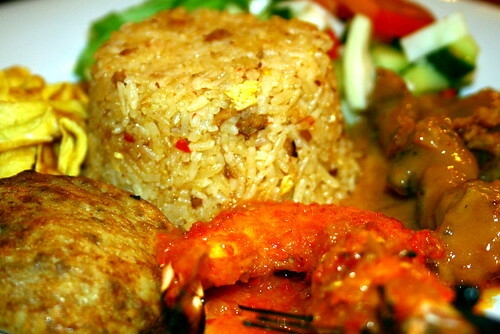 We dined at the nicely-decorated Restaurant Indonesia, one of two restaurants in Paris (the other one is Djakarta-Bali) serving authentic culinary experience from my home country. If you happen to be nearby, give it a try as the dishes were good and reasonably priced. Lisbon is fabulous and rich with history. 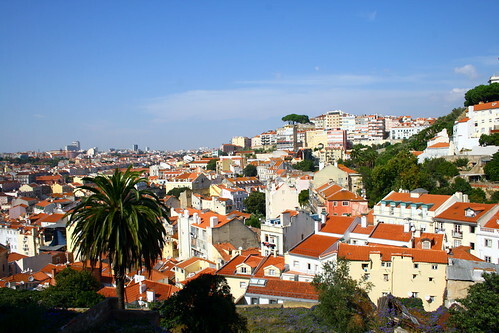 We managed to explore the downtown area on foot, enjoying the busy Marquês de Pombal, even walking up to the Castelo de São Jorge. However I feel that exploring the surrounding would have been much better with a car. The view of Lisbon from the castle was majestic, also from the dozens of the short alleys on the way up there (the photo above). Of course, passing Ponte 25 de Abril - the sister bridge of San Francisco's Golden Gate - both on the motorway and using the train, was also a wonderful experience. Due to our limited time, we had to skip some other tourist attractions. We already compiled a list of must-visit places for the future, in case we fly to Lisbon again. Nevertheless we had the obligatory fantastic dinner with cod. 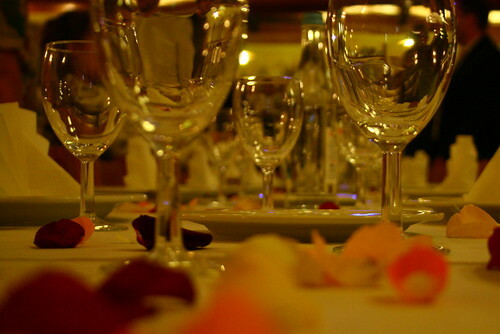 In another occasion, a simplistic but enjoyable dinner buffet in a Churrascaria was also memorable. A short detour to the beach at midnight completed the unforgettable journey. Madrid was very vibrant and dynamic. It is also quite warm (as expected) with the heat at noon being close to unbearable. I like the fact that it was still possible, even convenient, to sit on a bench even somewhere in downtown as long as it is still in the shadow. Unfortunately Madrid was defeated by Rio in the race for the 2016 Summer Olympics host. Otherwise it would have been extremely fantastic as we were there after the last round. 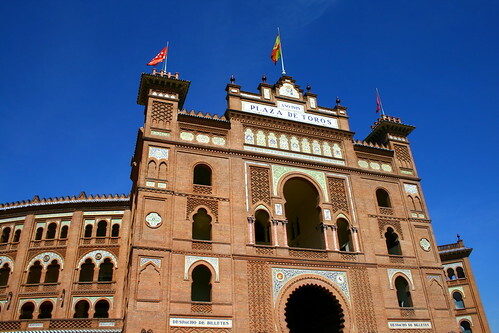 We did the usual sightseeing (on foot) - including the compulsory visit to Palacio Real - and other usual rituals: having chocolate con churros for breakfast, drinking horchata to ease from the heat at midday, as well as eating traditional paella (and fidueà) for the (very!) late dinner. Madrid at night on the other hand is a bit problematic for me. Since I am not a nightlife type, I don't drink, and I can't stand the cigarette smoke, touring the city after sunset is practically a mild torture. Next to visit (due in few days): Amsterdam and Munich. yes very cool. Where did you have your churros? Any specific good place or just a small bar/cafeteria/pasteleria? 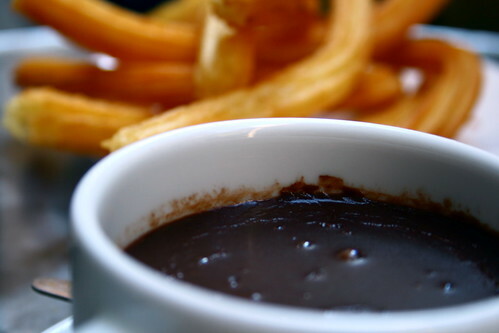 For churros + chocolate, go to San Ginés Chocolateria. How did you take these photos? Which camera, is it a hd-photography made from photos with different cam settings?